"Cheap" and "condo" are two words you hardly ever see together in Singapore, where condominiums are notoriously overhyped and overpriced, especially once you throw some famous architect into the mix. Turns out, though, that condo units don't always cost at least $1 million… But only if you're willing to go for a tiny home; think studios or one-bedroom apartments. If you don't mind the lack of space, these can cost "only" around $500,000. 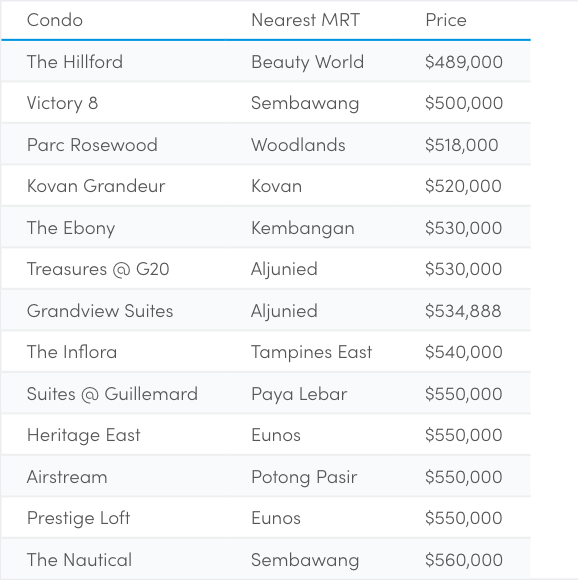 Here are the 13 cheapest condo units I found on sale on 99.co. 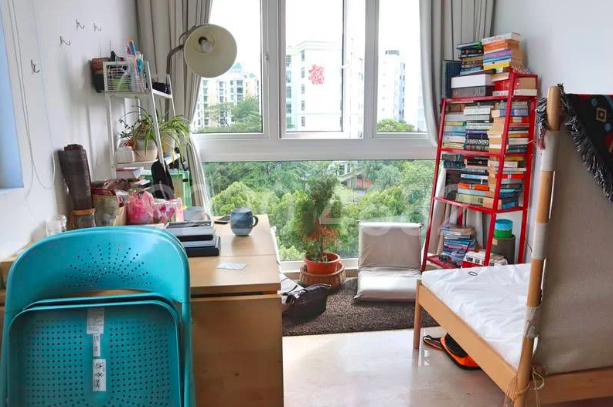 Look at this adorable tiny apartment at The Hillford with its eclectic bookshelves, daybed, and sunny little reading nook straight out of an IKEA catalogue. Cute, right? And it's less than $500,000 for the whole unit. At this price, it's not surprising that the condo isn't exactly central. 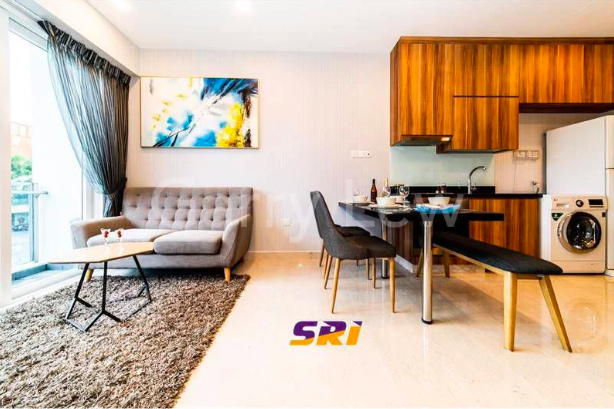 But it's in a nice location too - walking distance to Bukit Timah Nature Reserve and amenities around Beauty World MRT station. This apartment is not too accessible right now since it's somewhere in between Yishun and Sembawang MRT stations. But I think it's worth looking into since it's very close to the upcoming Canberra MRT station which is slated to open in Dec 2019. That's not to say there are no amenities here though. Sembawang Shopping Centre is across the street, while there are some old shophouse eateries just downstairs. Bonus: It's freehold. 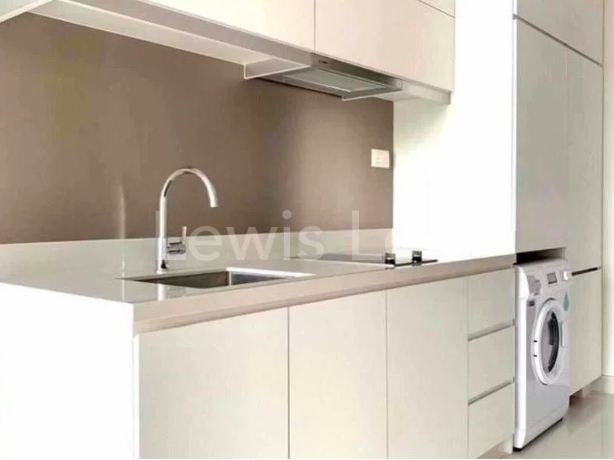 It has the same configuration (1 bedroom), but this Parc Rosewood unit is a bit more spacious - it's 431 sq ft, as opposed to 3XX sq ft for most small units. Despite the larger size, it's still very attractively priced at $518,000 for the entire unit. The main issue here is probably accessibility. It's far up north, in between Woodlands and Marsiling MRT stations (but a long walk from either). That's not great if you need to commute to the central region. On the flip side, it's terribly close to the Causeway which makes crossing over to JB a cinch. 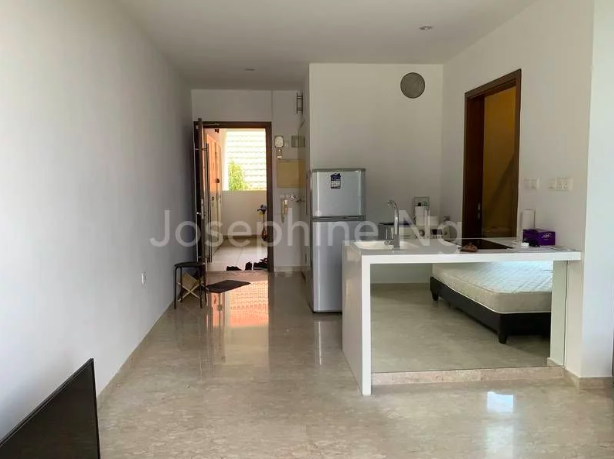 But if you're looking for something a bit more central than Woodlands and Sembawang, this is an affordably priced condo in a much more convenient location, near Kovan MRT station. 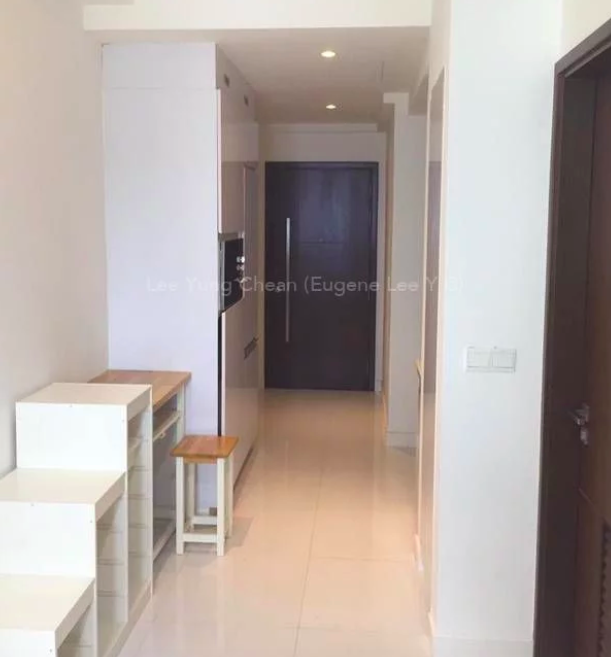 The Ebony is one of those micro-condos converted from a bungalow, so it's surrounded mainly by landed houses in a quiet neighbourhood near Kembangan MRT station. It's a bit of a squeeze at 334 sq ft, but that's often the price you pay for living in the east, which I think is considered a premium location. It's also freehold. 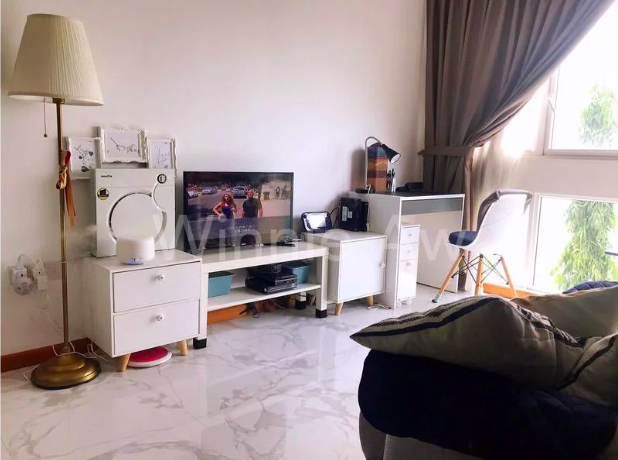 Treasures @ G20 is a small freehold condo in Geylang and it has one-bedroom apartments going for just over $500,000. This one is slightly on the larger side at 420 sq ft. The photos don't exactly suggest luxury living, especially the view out of the window. But for young working professionals, that's probably an acceptable trade-off for a city fringe location with plenty of, uh, nocturnal entertainment options. Another freehold development in Geylang with cheap units is Grandview Suites, which seems a bit more atas than Treasures @ G20. You can't tell for sure until you view the apartment, though. 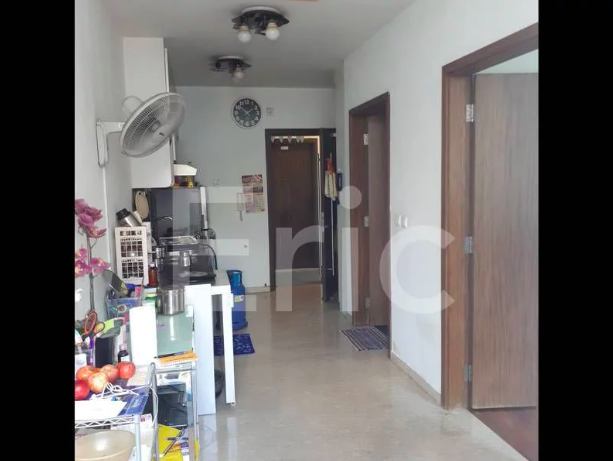 If you can look past the awkward name, this little unit at Tampines condo The Inflora seems like quite a bargain. The condo is only a couple of years old, and the unit is on the bigger side at 463 sq ft. Plus, it looks pretty luxe for the price - there's even a balcony. The potential downside is the location, which is actually at the Loyang side of Tampines. You'd probably need to drive or find some form of transport because it isn't walking distance from the MRT station. On the other hand, it's practically next to Changi Airport. 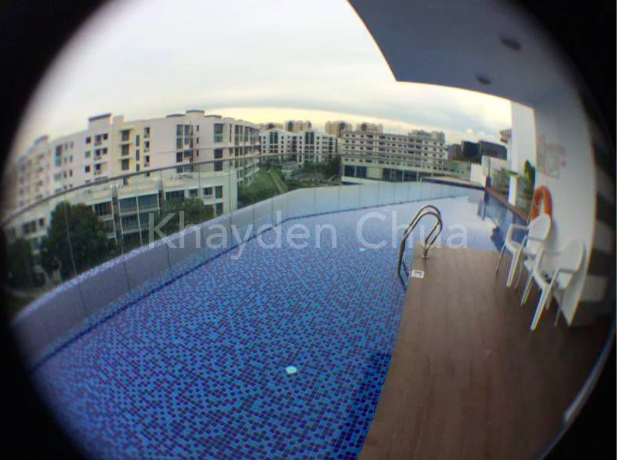 Freehold condo Suites @ Guillemard is in an awesome location - it's walking distance to Paya Lebar MRT station which means you can access both East West and Circle Lines. 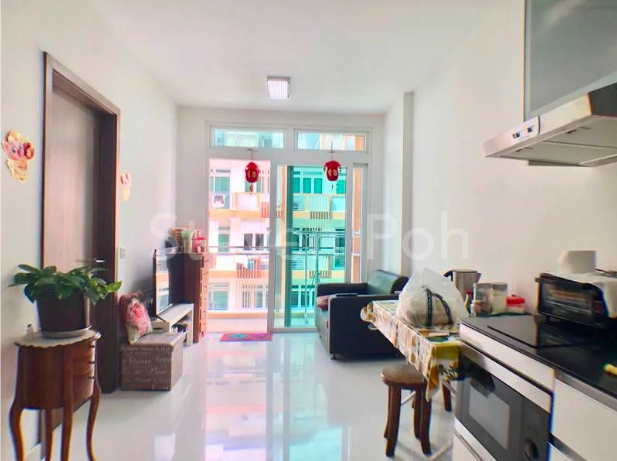 The trade off is that this unit is positively TINY - so much so that the photographer had to use a fisheye lens to take photos of the apartment. It's only 269 sq ft!! I'm pretty sure some luxurious broom closets are bigger than that. 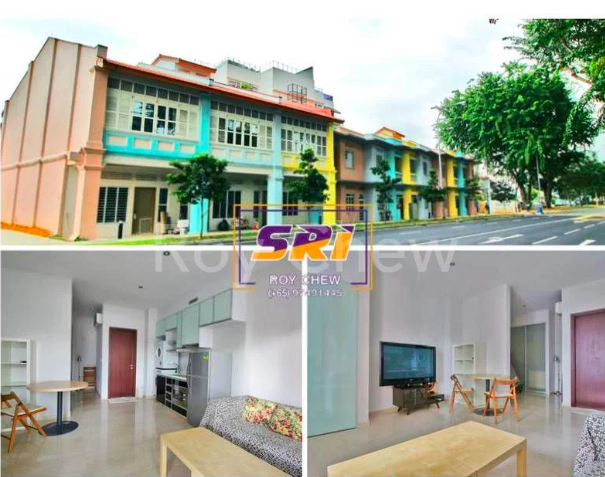 Apparently, you can live in a conservation shophouse along East Coast Road for just $550,000. Who would've thought? It's freehold, too. I'm amazed that this Heritage East unit hasn't been snapped up yet. Then again, it's pretty small a studio unit with no separate bedroom (only a small bed nook that's walled off from the main living / kitchen area). 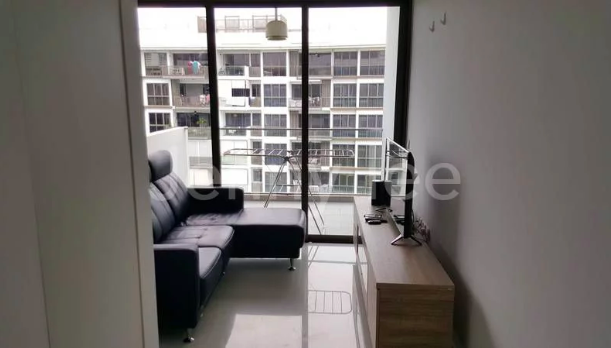 Similar to Heritage East, Prestige Loft is a freehold condo in the Katong area, and its cheapest unit is a studio apartment. 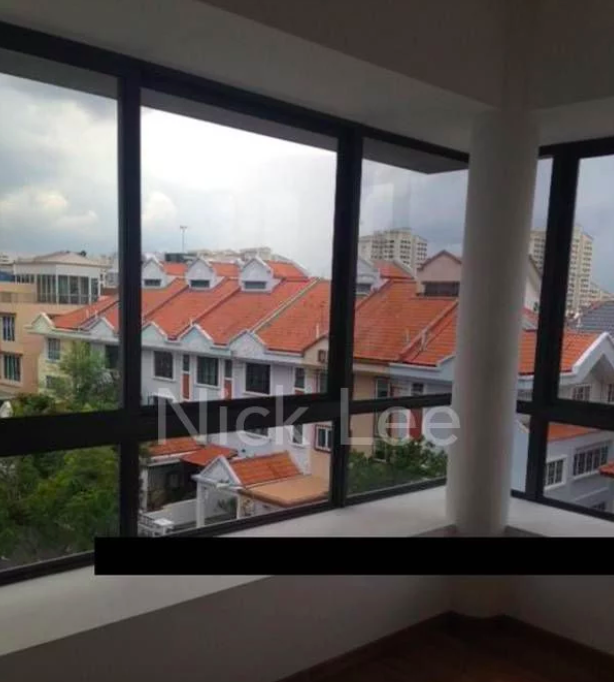 It is, however, a traditional gated small condo development, rather than a shophouse which some may find too "open" to intruders. 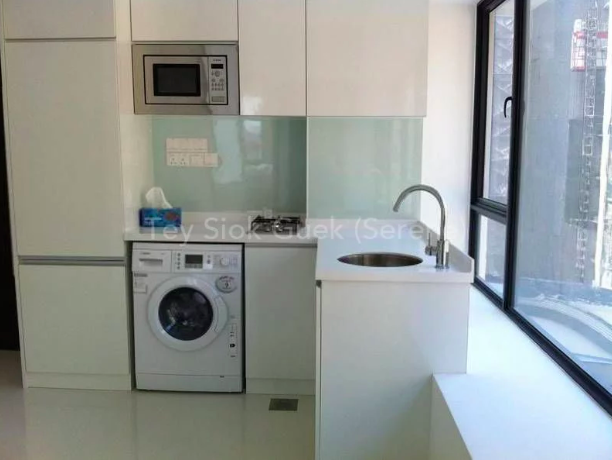 As you'd expect of a studio apartment, the size of the unit is rather small at 388 sq ft. Unlike Heritage East, there's no walled-off sleeping area, so you may have to get creative with partitioning the space. I don't know why this freehold condo is called Airstream, but I'm glad it's not called Luxury Penthouse or some other ridiculous name. As with the previous two, this is a tiny studio apartment going for $550,000. The main selling point is its location in Bendemeer, which is about as close as you can get to the CBD at such prices. It's at the intersection of the PIE and CTE as well, which is convenient but can get noisy. Though it's a bit more expensive than the $550,000 ceiling I originally set out to impose, I just had to include The Nautical, a huge condominium next to Sembawang Shopping Centre. Yes, it really is ship-themed - Google it. Among the entrants on this list, The Nautical is the closest you'd get to a full-fledged condo with all the works: Big swimming pool, BBQ pits, tennis court, etc. For a one-bedroom apartment, it's also quite spacious at 420 sq ft, which I think is an acceptable trade-off for the far-flung location. Once Canberra MRT station opens at the end of the year, though, it should get a lot more accessible.